Brisbane travellers heading overseas can now enjoy airport lounge access regardless of the airline they're flying, where they're seated on the aircraft or their frequent flyer status, thanks to the opening of the independent Plaza Premium Lounge at Brisbane Airport. That's because you can pay for access directly at the lounge entrance, present selected top-tier credit cards or global lounge membership cards or even just an eligible boarding pass from one of 13 airlines for complimentary access. From June 29 that will include Qantas business class passengers as well as Platinum and Gold frequent flyers, when the current Qantas international lounges are closed for renovations ahead of the opening of the all-new Qantas International Premium Lounge in October. Join Australian Business Traveller as we highlight what to expect at the nation's first Plaza Premium brand lounge. After checking-in for your flight and clearing security and passport control, make a right and take the escalator up to the airport's new lounge level. You'll find the Plaza Premium Lounge directly across from Air New Zealand's new facility, and as you enter, you begin to appreciate the lounge's strong 'indoor/outdoor' theme with real trees in the centre... ... and natural-coloured timbers covering many of the walls and serving as dividers between the various zones. There's also a separate spa area set to open in mid-July which will offer both massage facilities at a cost and even more seating for all lounge guests, but until that happens, there's some occasional construction noise to endure. Plaza Premium welcomes walk-in passengers flying with any airline in any class of service at a cost of $56 for one person or $99 for two for stays of up to five hours, currently reduced from the usual rate of $66 each. Qantas, from June 29 2016, while the airline's own lounge is refurbished. Paid-up Qantas Club members also have access during quieter times but may receive a $40 meal voucher on check-in if the lounge is full. Access is unavailable prior to Jetstar flights. American Express Platinum Charge, Business Platinum Charge, Centurion and Business Centurion cards, including those issued in Australia (excludes ANZ, CBA, NAB and Westpac AMEX cards). Also welcome are selected AMEX cardholders from Hong Kong, Singapore and Taiwan. Cardholders with selected China CITIC Bank International cards issued overseas. Members of The Club international airport lounge program (not to be confused with Virgin Australia's The Club scheme for VIPs). Priority Pass cardholders, as of August 2016. This lounge features a dedicated dining area where all food and beverage comes complimentary, with rows of purpose-built tables... ... each with access to handy yet easy-to-miss AC and USB power ports... ... or more casual bench seating for a quick bite: Wherever you sit, roving staff frequently stop by to offer coffee and other beverages, to the point that we never had an empty glass... ... with the java here barista-made rather than from a push button machine as you'd find in the nearby Air New Zealand and Singapore Airlines lounges: The buffet food here comes fresh and hot with breakfast options including baked tomato with cheese and basil, scrambled eggs, Singapore Noodles with vegetables, chicken sausages, pikelets and fried rice with mixed vegetables... ... fresh fruit, artfully arranged... ... the usual breads and cereals plus selections for the sweet tooth... ... joined by a variety of salads: For lunch and dinner, there are ample options for both meat-eaters and vegetarians with dishes like tasty Kung Po spicy chicken and a go-to option that's also available for breakfast in the Singapore Noodles... ... while there are also a few plates available to order including fish soup, a bolognese and a pomodoro (tomato) pasta which hit the spot: Alcohol is served between 7am and 1am each day with wine, beer and spirits available... ... with the house bubbles the Tempus Two Pinot Chardonnay: a drop on the lower end of the sparkling spectrum but one that's acceptable for a pay-in lounge. Immediately as you enter you'll notice a group of dedicated working pods... ... located away from the noisier dining area and each with its own working bench, reading light and dual power outlet with two AC and also two USB power ports: We put these to the test and unfortunately found laptop work on the bench a tad uncomfortable as leaning on the seatback means your arms are stretched out more than normal, so we'd like to see cushions make an appearance to even things up. You'll also find two Windows-based computers at the ready... ... and fast wireless Internet throughout with download speeds clocked between 10-20Mbps during our visit and consistent uploads of around 22Mbps. You'll be given the password as you enter, but in a friendly move for frequent travellers, the network name and password is the same used in other Plaza Premium Lounges around the globe, so we found our devices automatically connecting after a previous visit elsewhere. The rest of the space here is rightly given over to relaxation and more casual activities, with a trio of swinging chairs offering both lounge and airport views... ... a sea of more conventional chairs, also with both views... ... and again with handy power outlets found in between, allowing you to charge your phone, tablet or laptop without being confined to the business zone: Couples and groups are also catered for over by the windows... ... while seats in the centre of the lounge function equally well for solo travellers too... ... separated from the business zone by high walled timber: Also help yourself to a range of reading material with newspapers and magazines nearby the entrance... ... which you can enjoy in peace as boarding calls aren't made here – just remember to keep an eye on the flight information screens in the lounge to see when your flight starts to board. Overall, the Plaza Premium Lounge at Brisbane Airport feels more like a true airline business class lounge than a pay-in facility: appropriate, given that 13 airlines now call this space home. But we should point out that there's only one (unisex) shower suite, so during peak times, expect to wait when demand is high. The staff manage this by keeping a waiting list and finding you within the lounge when the shower is ready for you, however, with towels and amenities all provided. I'm disappointed I paid one last visit to the Qantas First Class Cupboard two weeks ago when I had access to this! The access for Qantas passengers doesn't begin until tomorrow, unless of course with the right credit card or independent lounge card (or pay for access). The senior Qantas lounge receptionist (not sure how to PC term that...) has welcomed me through single life, the proposal trip, and most recently the Disney trip! So far as elgible credit cards you posted AMEX Westapc card are excluded for access. I have a Westpac Black AMEX card and my understanding is that allows 2 complientary Priority Pass visits a year. Is Brisbane excluded from this? Plaza Premium is a different company to Priority Pass. Your two visits are valid at any lounge that is part of the Priority Pass network, of which this is not. The lounge may choose to join Priority Pass at a later date, but at this stage, Priority Pass won't get you through the door. Chris thanks for that. I have seen Plaza Premium lounges before that I could have access to and assumed they were the same. Have checked my iphone app and no mention of Brisbane. I am hoping that the lounge joins Priority Pass once the new QANTAS lounge is finished. Upon checking the app only Australian Priority Pass lounge is Cairns. Just to let you know it's not $40 voucher but $30. My MIL is flying to LAX today and she is a QC member. She only received $30. Looking at QF website it only says "meal voucher" and didn't state the amount. Will Amex Velocity Platinum gain access to this lounge? Nope, that's a credit card, not a Platinum Charge Card or a Centurion card. You could of course use your AMEX to purchase lounge access at the door at the regular rates. I wonder why Plaza Premium lounge doesn't open one in Melbourne International terminal for 24/7? QF lounge or most airline lounges close before midnight and not ideal for passengers with flights departing past midnight and have no way to go inside the terminal. Thanks for this. So good to see Brisbane getting better lounge facilities at last.. 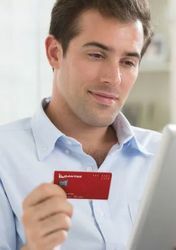 I'm travelling Sunday to LA from Brisbane with Virgin (business class) and have a Platinum Amex Chargecard. Which would be the best lounge option for me? Why not visit both before your flight and decide which is your favourite? The Plaza Premium Lounge is directly opposite from the Air New Zealand lounge used by Virgin Australia, so it's easily done. Great news for Priority Pass members - the lounge is now on the list. Worst airport lounge I have experienced. Oversold, overcrowded and substandard food. I fly SYD-BNE-NRT in J on QF next month and am thinking about my strategy that day. I'm thinking of having breakfast at Bar Roma using my Priority Pass card at T3 in SYD, then skipping the meal on the domestic leg then visiting either QF or Plaza Premium lounge for a light meal and then having lunch on the international leg. 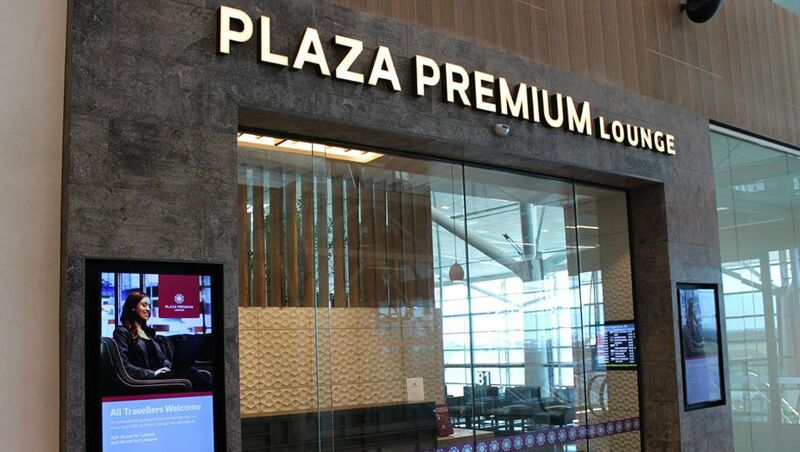 Comment on "Plaza Premium Lounge, Brisbane International Airport"